Social platform's brand strategy chief unveils the work that stood out last year. Brands are constantly innovating, connecting and creating content on Twitter that is disruptive, often leading to widespread conversations among the most valuable audiences. Last year was no exception. So, once again, we’re shining a light on brands that we think stood out from the rest, creating human-centric ideas across a variety of categories that drove impact on Twitter and beyond. 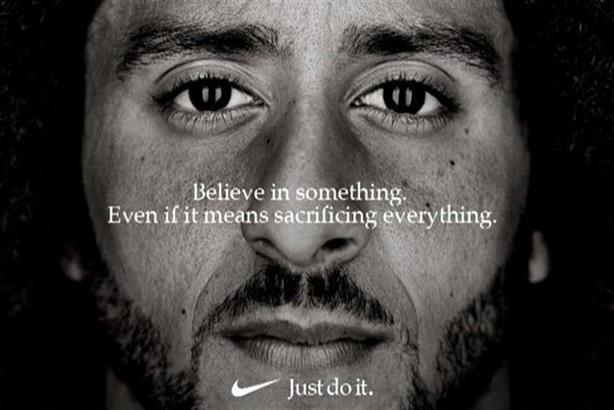 Brand-purpose campaigns were a hot topic in 2018, and with one single tweet, Nike’s "Dream crazy" demonstrated just how powerful they can be. Featuring polarising quarterback Colin Kaepernick, the campaign sparked a huge conversation and, within hours, had more "likes" than that famed Obama tweet. Nike took a stand. It recognised that Twitter is not about "look at me", but "look at this" – where purposeful movements travel. There was no better platform to ensure that this campaign cut through and got the attention it deserved. Twitter enables brands to be part of the cultural zeitgeist in real time. When it comes to a distinctive brand voice on the platform, Sony PlayStation is among those leading by example. With a brilliant reactive content strategy, it has mastered the technique to engage in playful conversation and contemporary memes. __ _ __ _ __ _ ___? ?Where's my horse?!
? ?Wait what was I doing? Such content demonstrates not only the brand’s ability to adapt to the pattern of culture, but also to keep pace with an evolving platform through a strong understanding of the latest product possibilities (eg getting creative with the new 280-character limit). A must-follow for those needing some Twitter inspiration. Remember that chicken crisis KFC had back in February that sent the nation into uproar? Of course you do. KFC unveiled some brilliant offline marketing at the time to ease our chicken angst, but went one better online when it launched a "find my chicken" bot on Twitter. You always want what you can’t have... but now you can ?? This tech solution – allowing people to enter their postcode to locate their nearest KFC store with chicken in stock – turned a potentially brand-damaging situation into a positive customer solution while KFC restocked its stores. A bold, human-centric approach with a 95% completion rate. For advertisers that want to associate their brands with premium video content, Twitter offers the ability to tie that video conversation to the biggest live moments. When Apple wanted to give everyone around the world a glimpse of its new products, it turned to Twitter to live-stream the hugely anticipated #AppleEvent, making it the most-talked-about brand event on the platform in 2018. Apple took advantage of Twitter’s product offering for brands, such as the ability to "heart" a tweet to be reminded when the live show is about to kick off. It also bought a promoted trend on launch day and repackaged the best bits of the stream so users could easily digest the new range of products without needing to leave Twitter. Despite not being an official sponsor, Guinness found a way to own the conversation around one of the most-tweeted-about sporting events in the British calendar. Guinness partnered England World Cup winner Will Greenwood on a Six Nations video series exclusive to Twitter. Featuring special guests, Greenwood’s running banter was streamed directly into fans' timelines from pubs across London. This unique viewing experience was complemented by Guinness becoming the first UK brand to use custom "hearts" on Twitter, whereby Guinness harps would appear when people liked the stream to keep the brand symbol at the heart of the conversation. HSBC UK worked with Twitter’s creator platform, Niche, to raise awareness of its commitment to British Cycling to get two million people on bikes by 2020. Spearheaded by three online personalities, the campaign featured digitally enabled bikes that tracked their progress in real time and reminded people just how fun and easy it is to cycle. Get 2 million people back on their bikes by 2020. The bikes recorded every pound saved per mile versus travelling via Transport for London, weight loss and carbon offset per journey. Important issues all bound together in three stories told by these influencers. As users scroll through their Twitter timeline at speed, they don’t often hang around to watch long-form content from a brand (unless the creative is truly compelling). Adidas worked with Twitter's in-house team to cleverly condense the brand's 30-second creative for the highly awaited relaunch of its Copa football boots. Here’s the end product: a captivating six-second film.